Every spring, the mountains and rolling hills of the Dan River basin sparkle with color as wildflowers bloom. For visitors and residents alike, wildflower season offers a sublime mark of spring. The various species appear as old friends, blooming with clockwork precision as the earth moves from winter into summer. 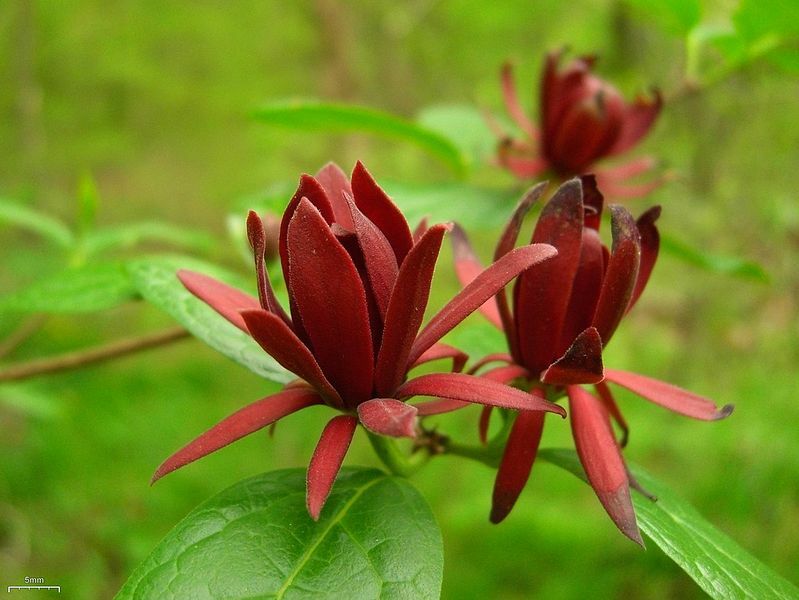 Ellen Jessee and Linda Park–both avid hikers, wildflower enthusiasts and Dan River Basin Association volunteers provided this handy list of what blooms when in the region. Ellen and Linda’s love of wildflowers drove them to hike countless trail miles, learning the best times and places to enjoy viewing these wonders of nature at the peak of their beauty. For timing, use the foot of the Blue Ridge Escarpment as a general dividing line. East of the line, the spreadsheet represents a good estimate for the timing of wildflower blooming, regardless of what trail someone may hike. West of the line, blooming will be delayed by approximately two weeks, regardless of which trail. Also, be aware that actual locations vary by species—some flowers grow in a very localized spot, while others can be found more widely. 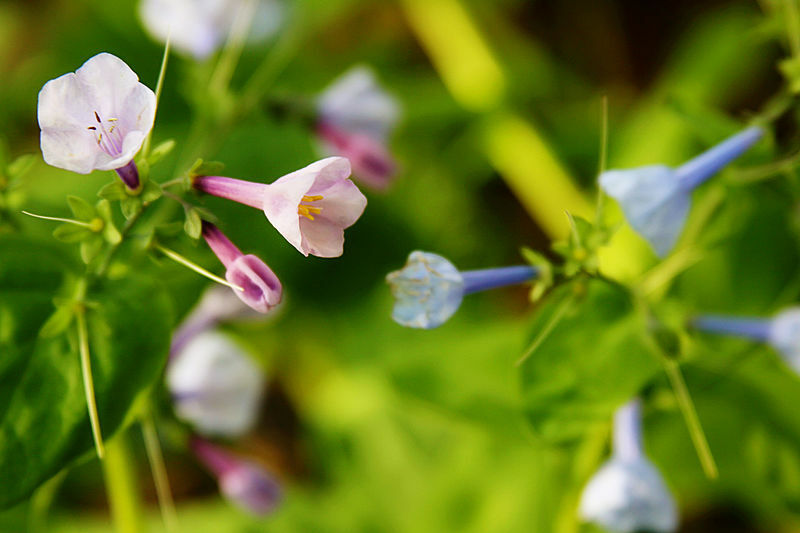 Fortunately for nature lovers, the communities within the Dan River region provide a number of beautiful places in which to chart the course of spring through wildflowers. We present a few ideas here, but remember, you can find wildflowers just about anywhere, and often in unexpected places. Keep your eyes peeled in your travels, for instance. The Dan River flows slowly, making it well-suited for beginning to intermediate paddlers. The river flows past high banked slopes and floodplain forest, which often are covered with flowering plants. 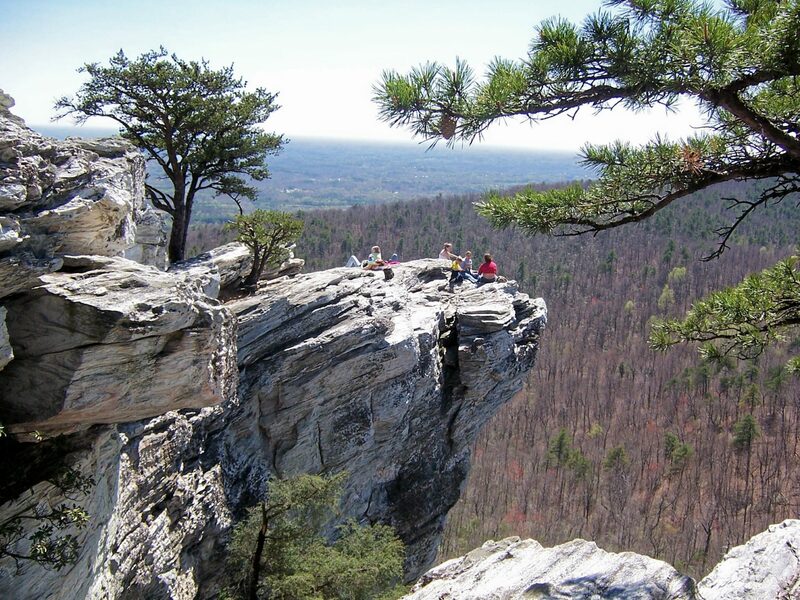 Hanging Rock State Park offers sheer cliffs and peaks of bare rock, quiet forests and cascading waterfalls, and views of the piedmont plateau that stretch for miles. That diversity of habitat makes for a wealth of wildflower opportunities. Mayo River State Park includes 1,967 acres of rugged piedmont terrain surrounding a picturesque river. Trails wind through the variety of habitats, providing many chances to catch nature in bloom. Haw River State Park’s trails meander through various ecological communities, with ample wildflowers nestled in among the other plants. More than 6 miles of land and paddle trails traverse Mayo Lake Park. This variety of trails, plus park observation decks, docks, and trails, all provide ways to look for wildflowers. Caswell Game Lands span more than 15,000 acres and includes excellent examples of several Piedmont habitats, including floodplain forest, mature oak forest, and pine savannah. And that means you’ll find a variety of wildflowers. The nature trails at Lake Reidsville provide outdoor enthusiasts the chance to view wildflowers in bloom through the spring. The Chinqua-Penn Walking Trail is located on the Upper Piedmont Research Station, next to Chinqua-Penn mansion. The site provides 1.5 miles of trail that meander past open pasture, creek, pond, and mature hardwood forest. The Dan River flows east to converge with the Banister and Staunton rivers to form John H. Kerr Reservoir (Buggs Island Lake). And just as with the North Carolina stretch, floating the river provides a different way to view wildflowers along the shore. The Staunton River starts as the Roanoke River in the hills southwest of Roanoke. As it flows into Southside Virginia, the Staunton River regains its name and flows though some of the prettiest, and least spoiled land in the Piedmont. 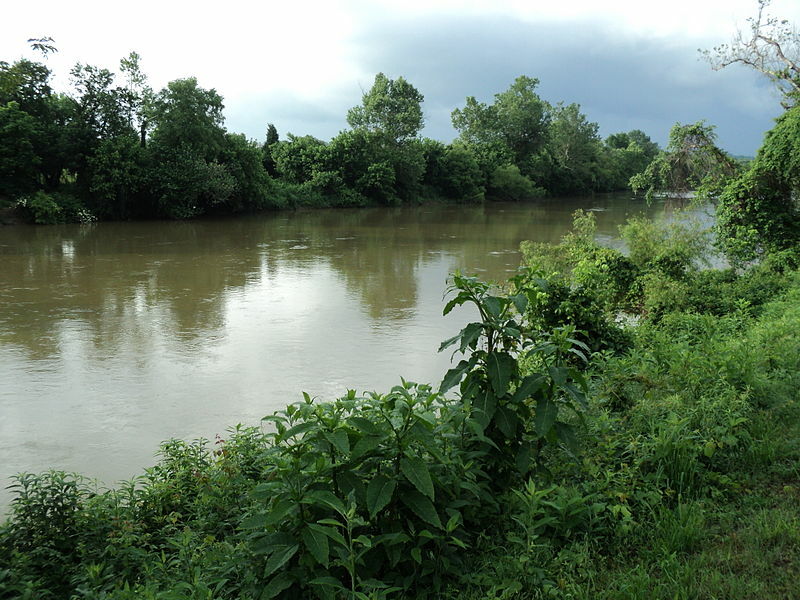 Along its route are numerous small parks and convenient boat landings that facilitate canoe access to the river. And with this access comes a spectacular chance to see wildflowers from the water. Turkeycock Mountain’s ridge forms the boundary between Franklin and Henry Counties, and the management area’s 2,679 acres extend into both counties. The area is predominantly a forested landscape with several wildlife openings, which make for great wildflower viewing opportunities. Fairy Stone State Park’s unique geology, located at a meeting of the Blue Ridge Mountains and the central Piedmont, and its rich habitats make for a wonderful wildflower experience. 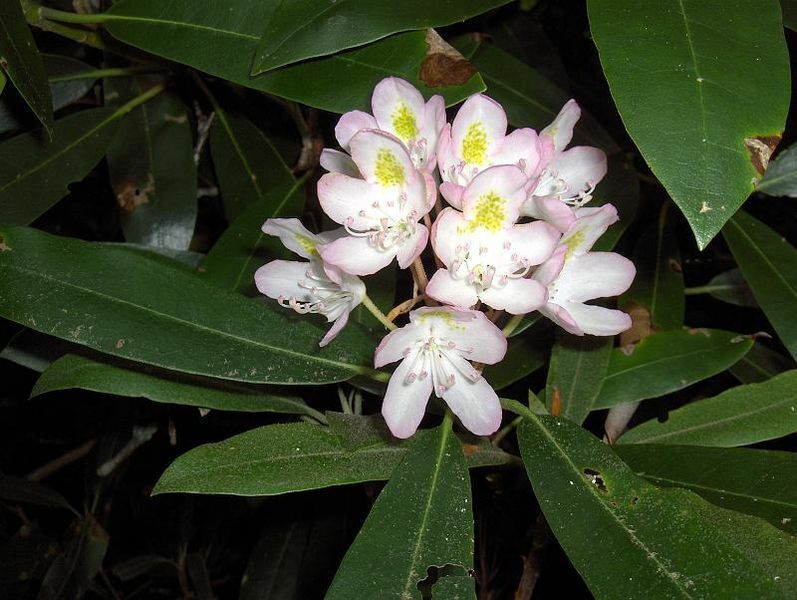 The sites on the Sweet Mountain Laurel trail are located on or near the southern portion of the Blue Ridge Parkway in Virginia, offering breath-taking scenery and a delayed blooming window for mountain wildflowers. Lovers Leap Wayside. Courtesy of Patrick County. 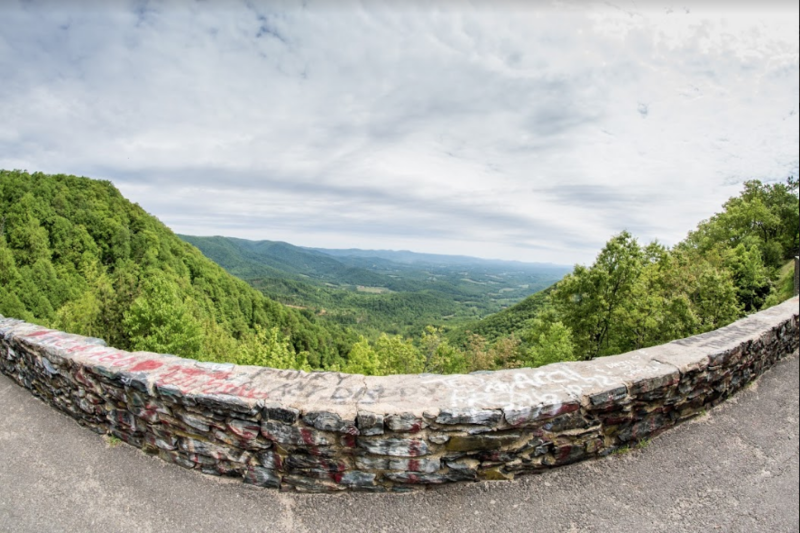 The Blue Ridge Parkway offers peaks and vistas galore, each of them a beautiful backdrop for wildflowers. Keep an eye along the roadsides for colorful blooms, or explore more in depth at the various trails that begin at the various waysides. Franklin County’s Grassy Hill Natural Area Preserve includes a 6.5-mile hiking trail system and access to 1,295 acres of deciduous forest intermingled with a few Virginia pines. Henry County’s Lauren Mountain Preserve has a 1.5-mile trail that follows the Smith River, with wildflowers, huge beech trees and beautiful river views broadening its appeal. More ways to explore the Basin!